CIFOR’s Communications team creates, innovates and engages, bringing science to people and people to science to catalyze meaningful change. In 2014, the team built a platform for the Forests Asia Summit, which was visited by 20,958 people.  We also refreshed CIFOR.org and added a Spanish version for our Latin American audience. Together, CIFOR.org and the Forests News blog received almost 2 million views during 2014. With ever-growing numbers of views, shares and likes, in 2014 CIFOR’s social media experts focused on growing a committed, engaged community. Forestry and landscape issues are complex, and difficulty in communicating the problems and solutions simply and effectively can mean important audiences don’t hear the message. CIFOR is helping others share science by training 728 journalists, editors, scientists and government officials in communicating research. Our partnership with Indonesia’s forestry research and development agency led to training for 83 of their staff in support of our joint website, REDD-Indonesia.org. Seeing VIP rows filled with ministers from almost every Southeast Asian country joined by the region's leading development experts, that was when we fully appreciated CIFOR’s ability to convene a high-level policy Summit. CIFOR has had a major role in more than 30 events in 2014, including organizing two international conferences: the Forests Asia Summit and the second Global Landscapes Forum. In the face of daunting challenges – inequality, uncertain land tenure, unsustainable land use, a loss of biodiversity, food insecurity and climate change – Southeast Asia is shifting to a greener future. We decided to help accelerate that shift. The Forests Asia Summit, co-hosted by CIFOR and the Indonesian Ministry of Forestry, quickly became one of the largest events Southeast Asia has seen in years. Respondents felt that a significant amount of credibility and exposure was given to the technical content . . . and that decision making and commitment would be possible, due to the presence of the President of Indonesia, regional government ministers and a wide range of high-level participants from donors and intergovernmental actors. REDD-Indonesia.org – an Indonesian-language website hosted by the Ministry of Environment and Forestry that provides reliable information about forests, climate change and REDD+. +5200 visits a month with more than a third of users central and district government officers. +7800 publication downloads each month. +9100 Indonesian stakeholders on the mailing list. CIFOR-led workshops on popular writing, photography and technical website management skills for more than 60 FORDA staff. FORDA staff across the archipelago are now equipped to share their research results and activities with important stakeholders – government, civil society, media and local forest communities. We have had the chance to study from CIFOR… From this partnership, our colleagues are recognizing the importance of communication.